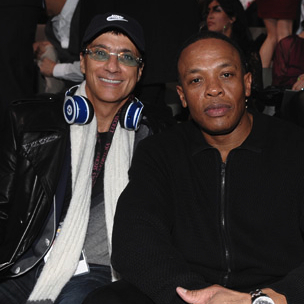 Beats Music, the latest product from Dr. Dre and Jimmy Iovine’s Beats Electronics, is set to launch on January 21. The subscription streaming service, originally called Daisy, is expected to compete with Spotify, Pandora, and Apple’s iTunes Radio. Beats Music also has Trent Reznor of Nine Inch as its chief creative officer. Beats Music will only be available in the United States for the time being. UPDATE: Beats Music is now available for $9.99 a month and features a catalog of 20 million songs, according to complex.com. The service differentiates itself by presenting several ways that it introduces the consumer to music, though its “Just For You” screen, among others.